Based in Semenyih, Selangor, Jetbus or Jet Bus offers express bus services with its primary route departing from Terminal Bersepadu Selatan (TBS) to KLIA2. The bus operator is one of the many express bus companies in Malaysia providing efficient transfers to and from Malaysia’s main airport. Online bookings for bus tickets are available at affordable prices and regular bus schedules offered to furnish a convenient travel journey. Jetbus aims to provide a low cost as well as comfortable and efficient services on board its buses for a hassle-free journey. With each bus operated by well-trained and professional drivers, Jetbus also guarantees a safe and relaxing ride to make sure each passenger reaches their desired destination. Operations by Jetbus consist of 15 units of express buses whereby each bus comes in a 40-seater capacity for a commodious service. 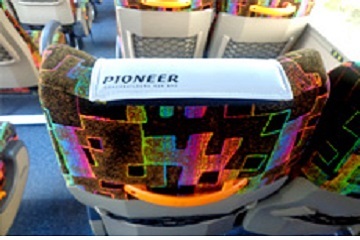 Buses are also fully equipped with an air-conditioning system as well as a spacious luggage compartment to provide convenience for many airport commuters. 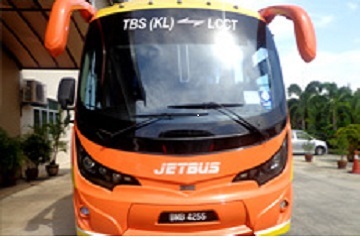 Jetbus is one of the leading bus operators providing routes primarily between TBS and KLIA2 as well as being committed to offering excellent bus services. The bus journey between TBS and KLIA2 will take approximately 1 hour and 15 minutes whereby the duration may vary depending on traffic conditions. Offering convenience as well as reliable bus services, Jetbus seeks to complete every travel needs and provide an enjoyable experience with several bus routes. 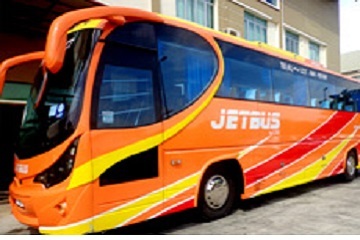 Jetbus always ensures on-time departures and arrivals with many affordable bus fares available. 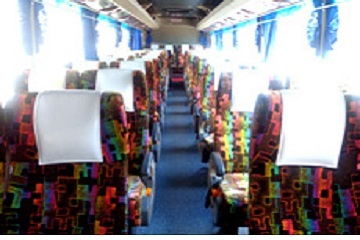 Make online bookings for bus tickets and enjoy a hassle-free journey. Book affordable bus tickets conveniently now and get on board buses by Jetbus today for a feasible transfer between Malaysia’s main airport!